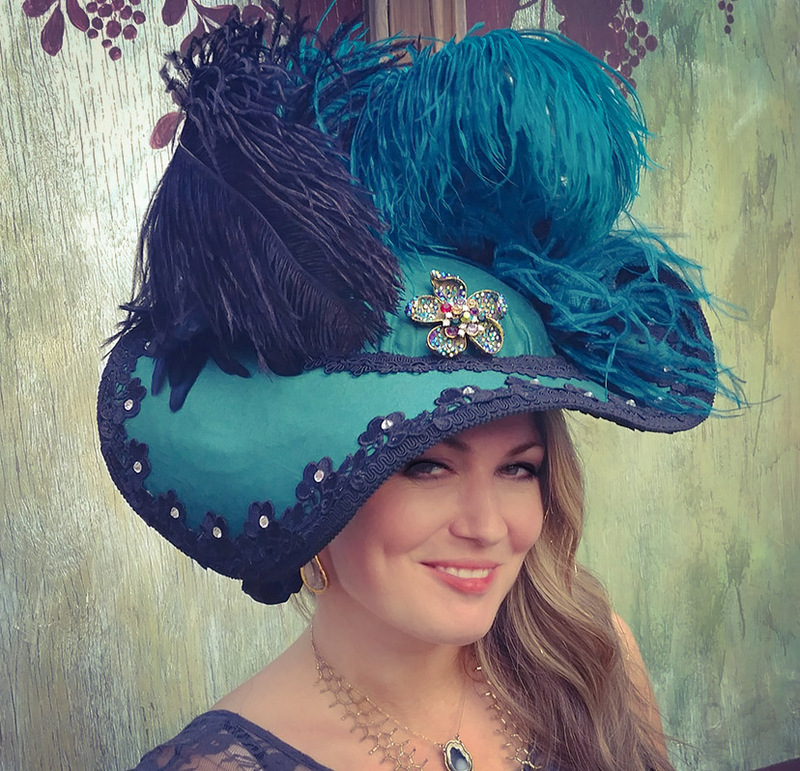 The Scarlett Rose Boldly Beautiful Hats and Accessories – "Be Bold.. Be Beautiful, in a Scarlett Rose Hat"
Your heart will be captured by the elegant Scarlett Heart Renaissance Period Ladies Hat. This hat is a free size, as it is designed to perch jauntily at an angle or straight on your head. So you're a Pirate you say! 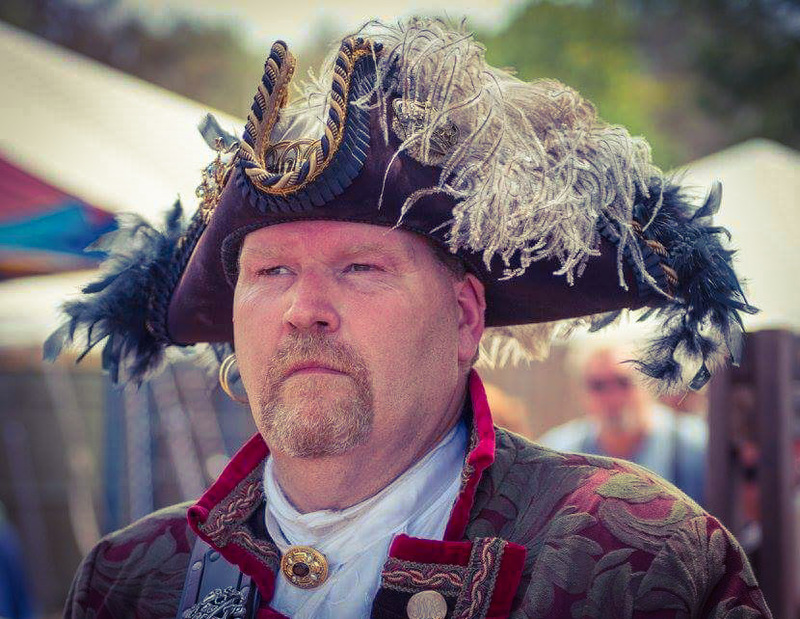 This gorgeous Tricorn has a magnificent profile and will fit standard head sizes. We can customize to fit any size head! Sail forth in this commanding Tricorn! Looking for the one of a kind stunning hat? 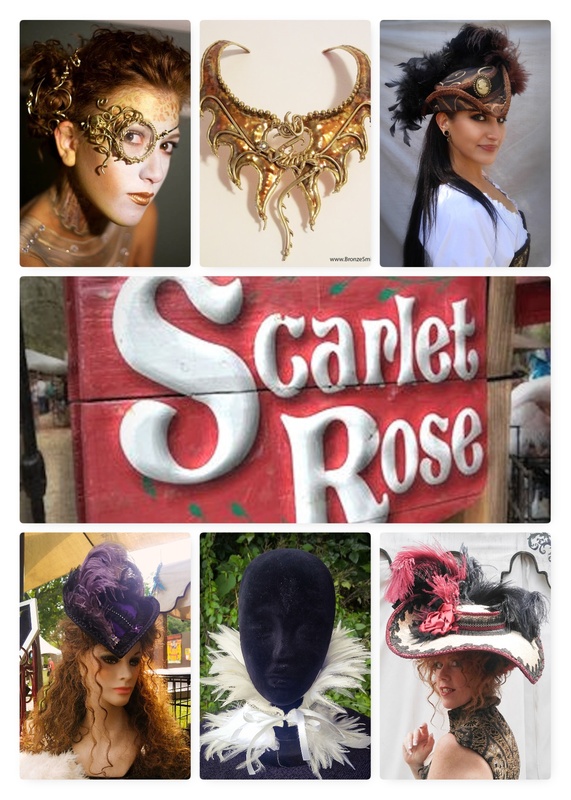 Look no further than our Limited Edition Scarlett Rose hats. These hats are very unique and are designed by The Scarlett Rose exclusively. We at The Scarlett Rose have over 35 years experience in creating the beautiful items that make your heart go pitter patter! The Scarlett Rose is proud to offer hats from a wide variety or eras. 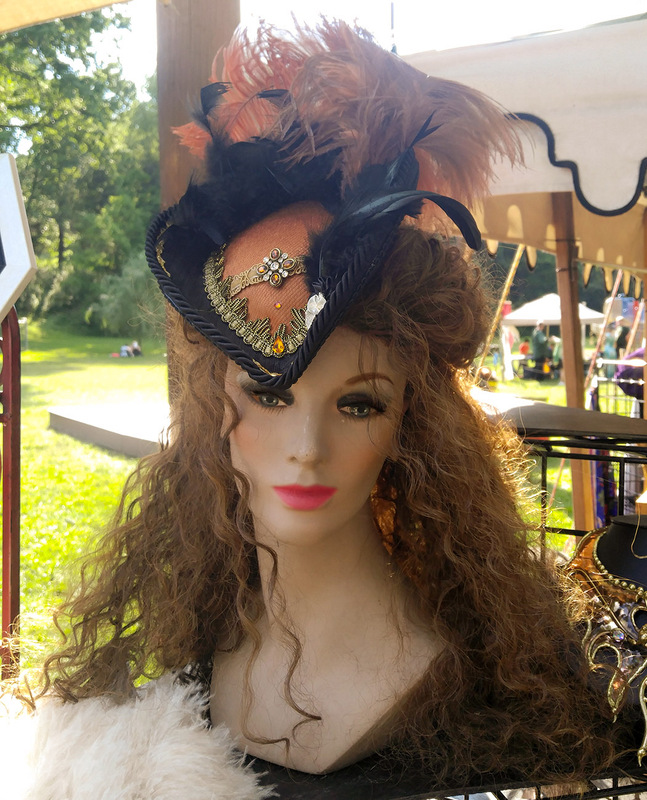 We create hats from the Renaissance Period, Elizabethan Period, We crreate Steampunk Styles Victorian era styles. We are also pleased to offer a wide array of items for the Burlesque Industry. Our Stunning Bronze is made by the Artist Francis Prachthauser and has been featured on TV and the runways of Milan (Dior), as well as featured in Cirque Du Soliel. We carry gorgeous items and travel extensively across the United States. Please be sure to check our Calendar and find us at a show NEAR YOU! We make many of our items to order and love working with our customers to create that one of a kind item or hat! Let us create for you a custom piece worthy of being BOLDLY, BEAUTIFUL!